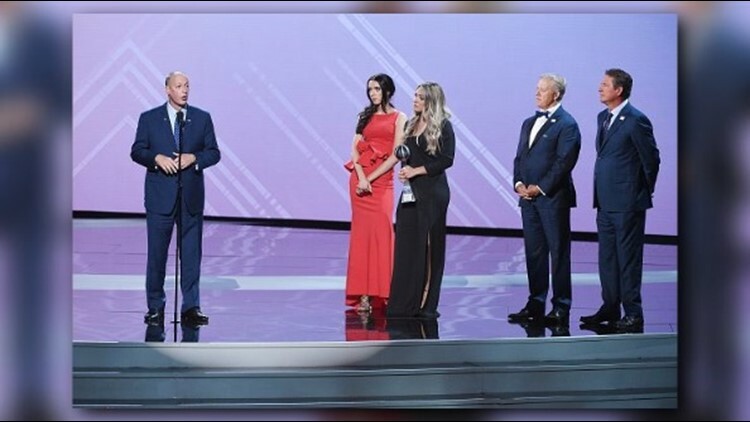 Pro Football Hall of Famer and former Buffalo Bills quarterback Jim Kelly received the Jimmy V award for Perseverance at the 2018 ESPY Awards. BUFFALO, N.Y. - Pro Football Hall of Famer and former Buffalo Bills quarterback Jim Kelly received the Jimmy V award for Perseverance at the 2018 ESPY Awards. Kelly who will be heading back to New York for a check-up after Kelly said "something came up," was accompanied by his daughters on stage as he gave an emotional speech. If you missed the speech, ESPN has the speech in its entirety on their website.